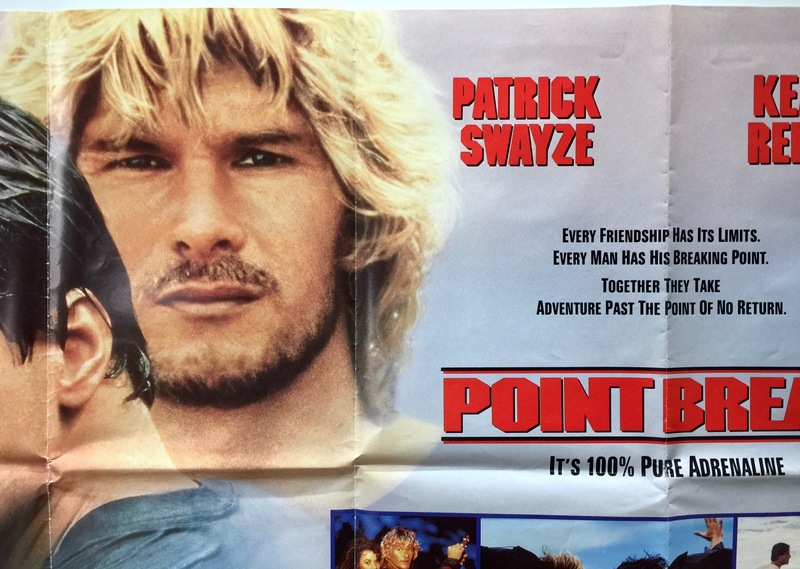 Point Break is a 1991 film directed by Kathryn Bigelow. It was co-produced by Peter Abrams and Robert L. Levy. The screenplay was written by W. Peter Iliff based on a story by him and Rick King. 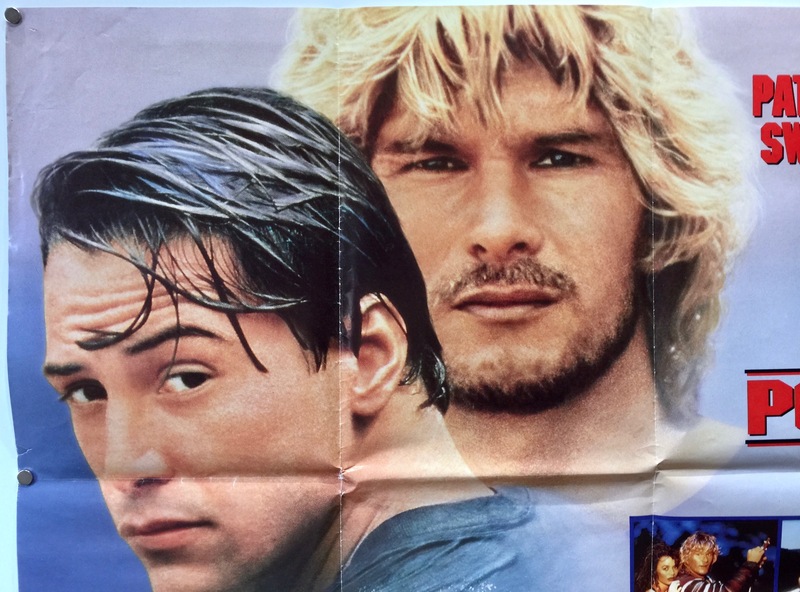 Point Break stars Patrick Swayze, Keanu Reeves, Gary Busey, Lori Petty, John C. McGinley and James LeGros. 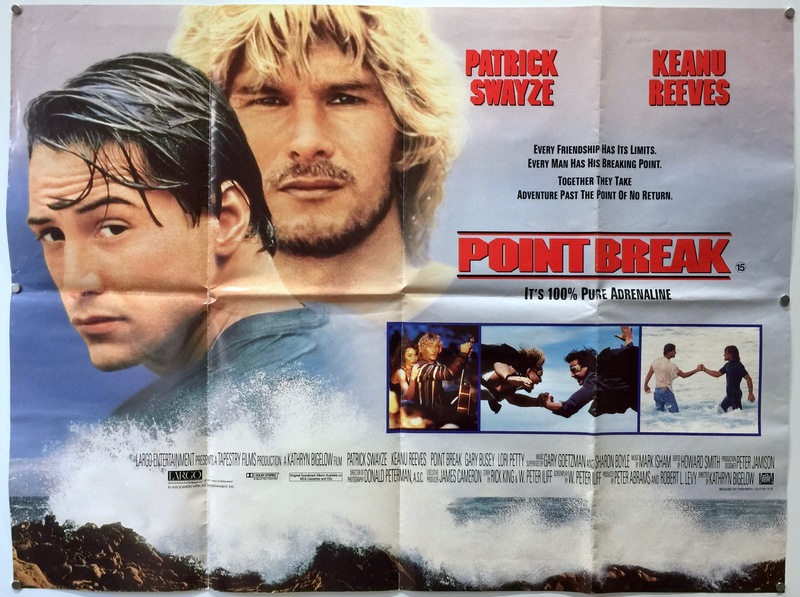 The storyline follows rookie FBI agent Johnny Utah who partners with veteran Angelo Pappas to investigate a series of bank robberies possibly being committed by surfers disguised as ex-presidents Reagan, Carter, Nixon and Johnson. 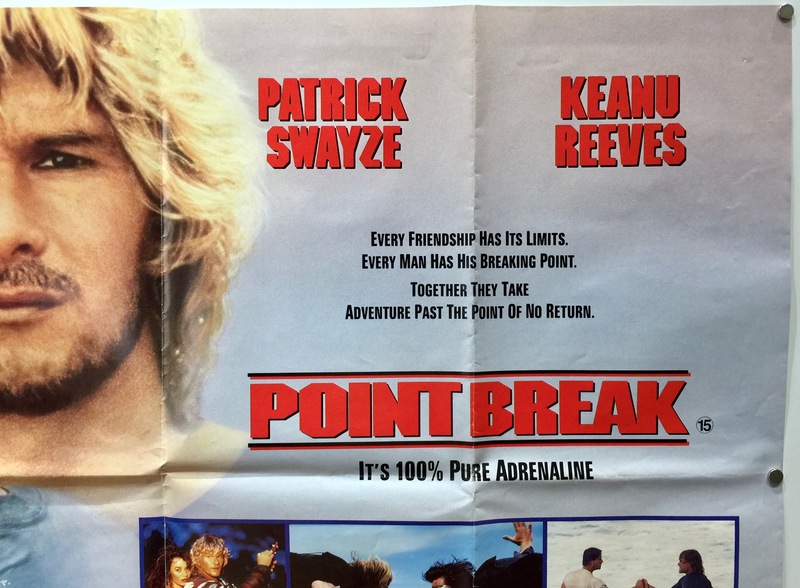 Johnny goes undercover to infiltrate the surfing community and develops a complex friendship with Bodhi, the charismatic leader of a gang of surfers. 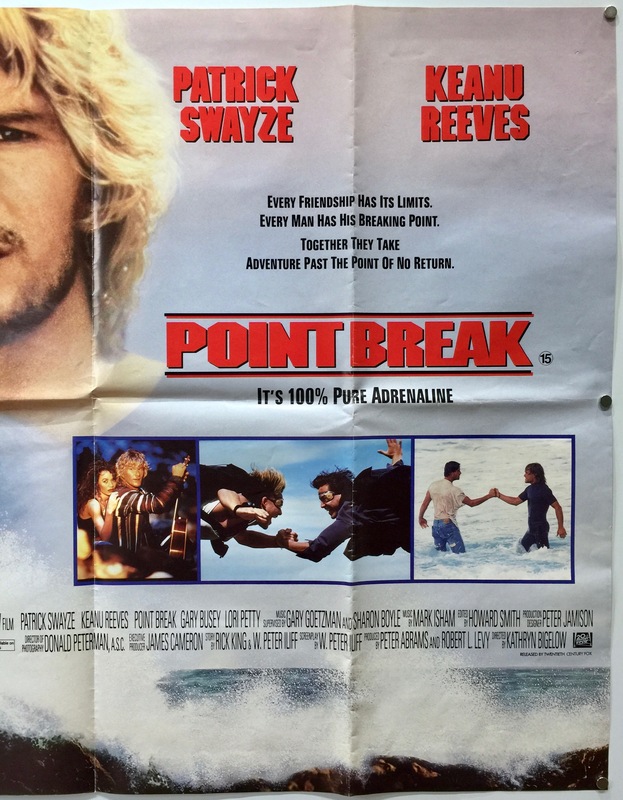 The title refers to the surfing term “point break,” where a wave breaks as it hits a point of land jutting out from the coastline. Originally, Matthew Broderick, Johnny Depp, Val Kilmer and Charlie Sheen were all considered for the role of Johnny Utah with Ridley Scott directing. 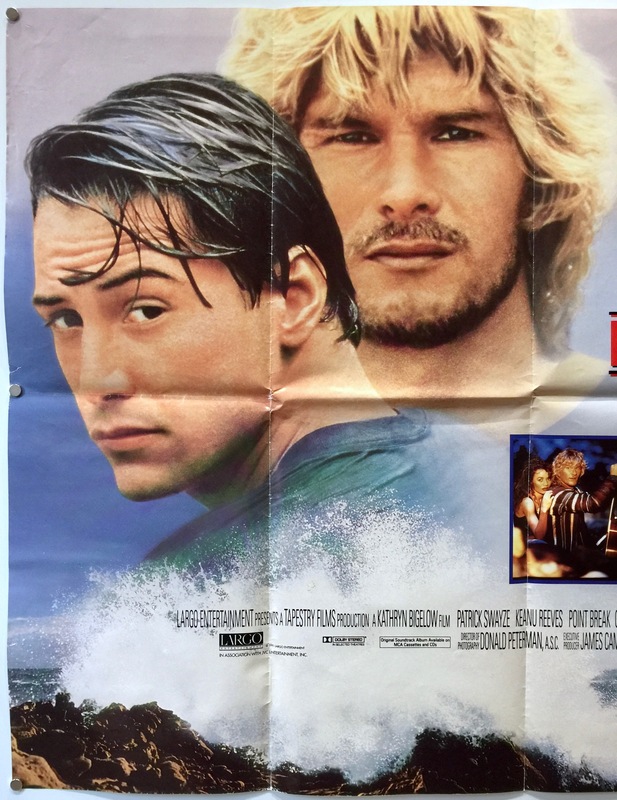 When Keanu Reeves was cast in the role the film was originally titled Johnny Utah, however, the studio felt the title said little about surfing. 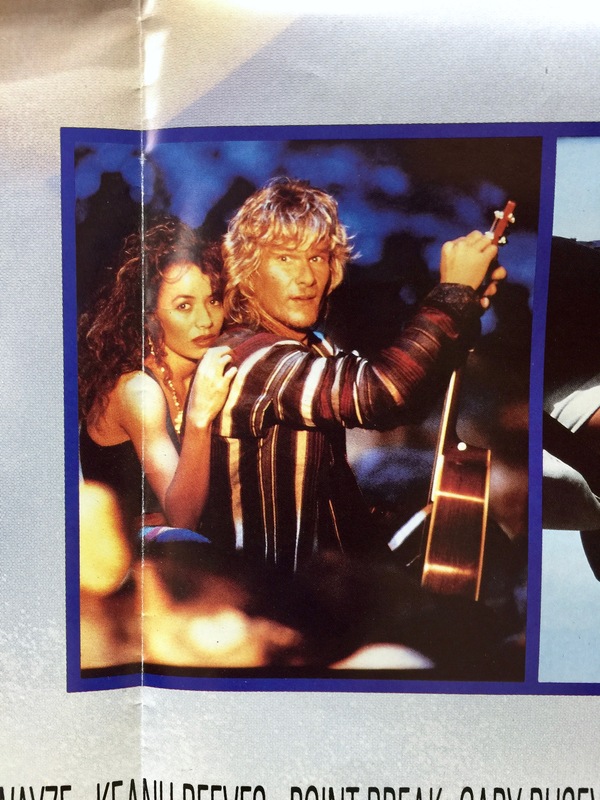 By the time Patrick Swayze, it had been renamed as Riders on the Storm after the famous rock song by The Doors. With the lyrics having nothing to do with the film it was also rejected. 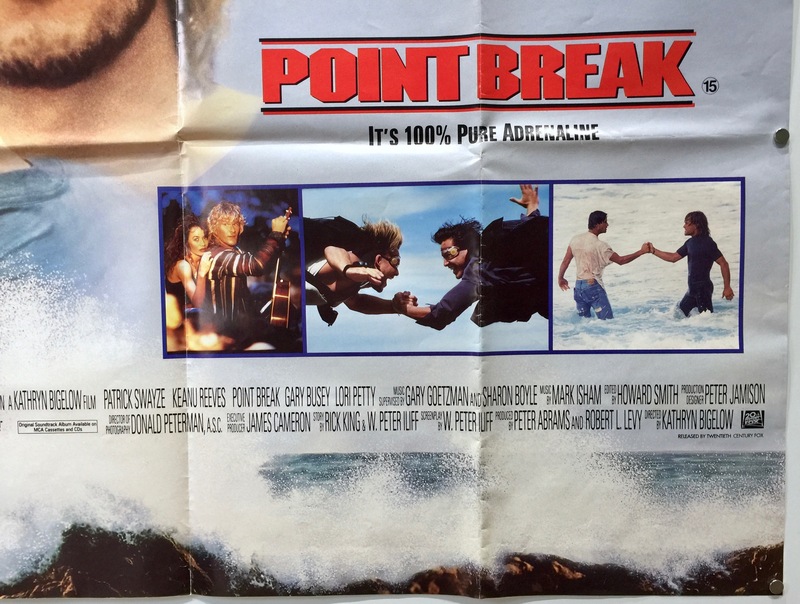 It was decided halfway through filming that the film would be titled Point Break because of its relevance to surfing. 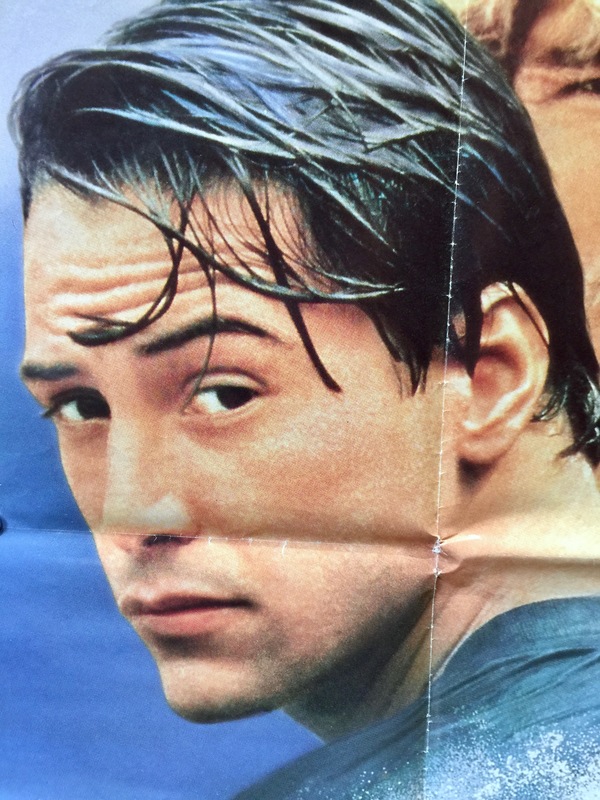 Keanu Reeves liked the name of his character as it reminded him of star athletes like Johnny Unitas and Joe Montana. He described his character as a “total control freak and the ocean beats him up and challenges him. After a while, everything becomes a game… He becomes as amoral as any criminal. 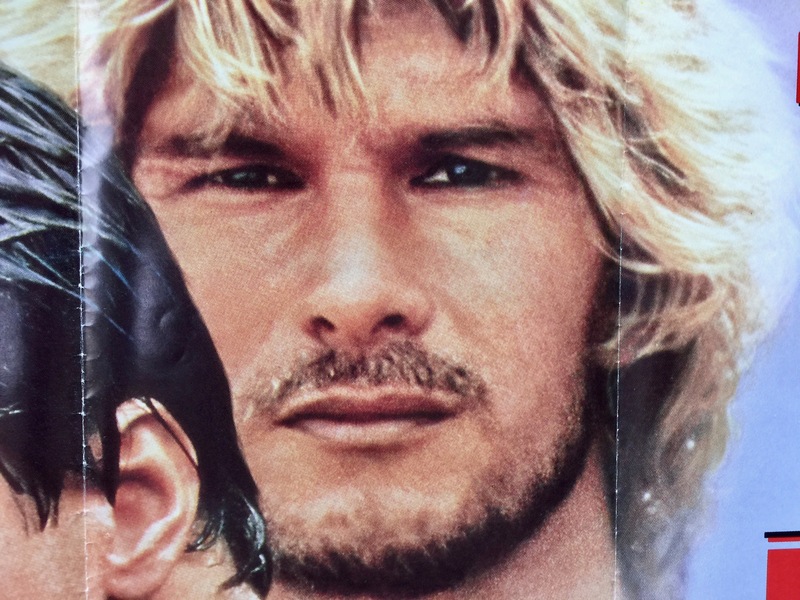 He loses the difference between right and wrong.” Patrick Swayze felt that Bodhi was a lot like him and that they both shared “that wild-man edge”. 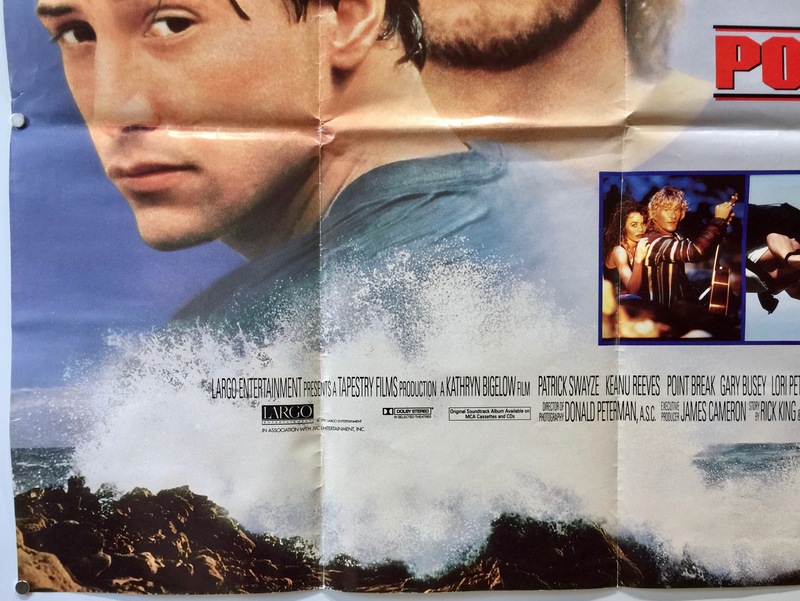 Prior to filming Lori Petty, Keanu Reeves and Patrick Swayze went training with former professional surfer Dennis Jarvis on the Hawaiian island of Kauai. He said of there time together, “Patrick said he’d been on a board a couple of times, Keanu definitely had not surfed before, and Lori had never been in the ocean in her life”. 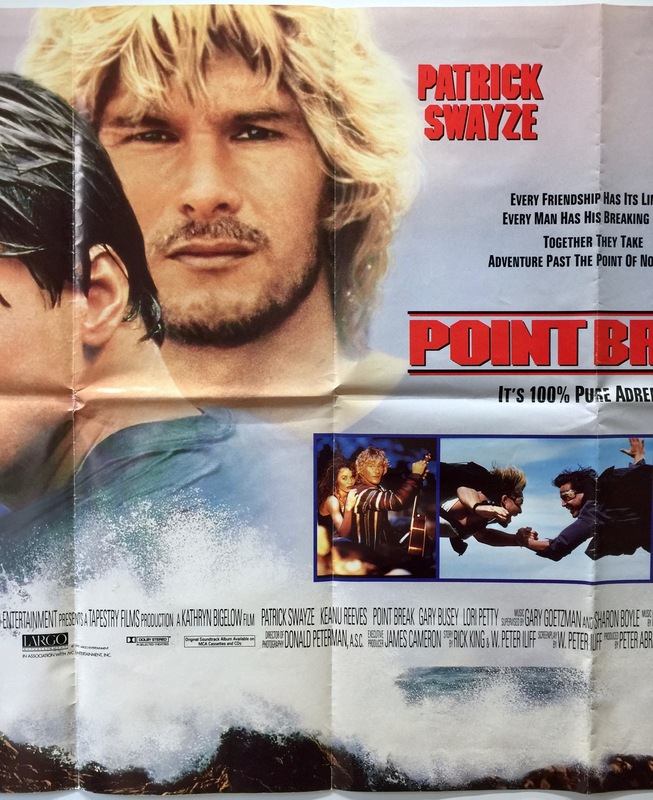 Filming the surfing scenes proved challenging for both actors with Patrick Swayze cracking four ribs. 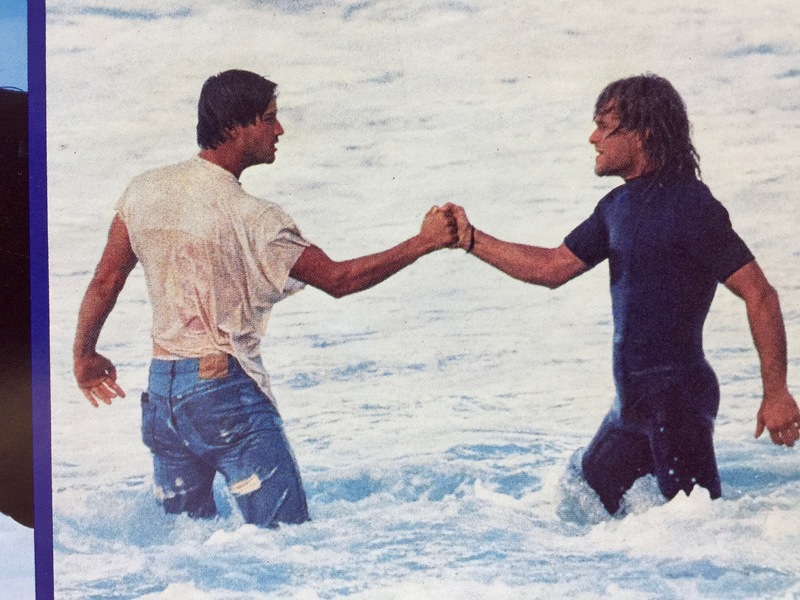 He refused a stunt double for the surfing scenes as he didn’t have one for the fight scenes or car chases. 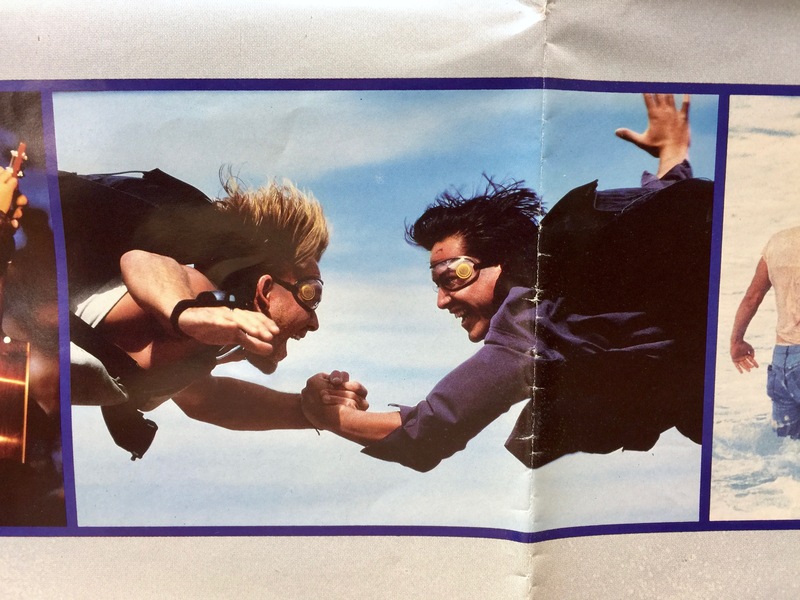 He also did the skydiving scenes himself and the films aerial jump instructor, Jim Wallace said he was a natural and took to it right away and he ended up making 55 jumps during filming. 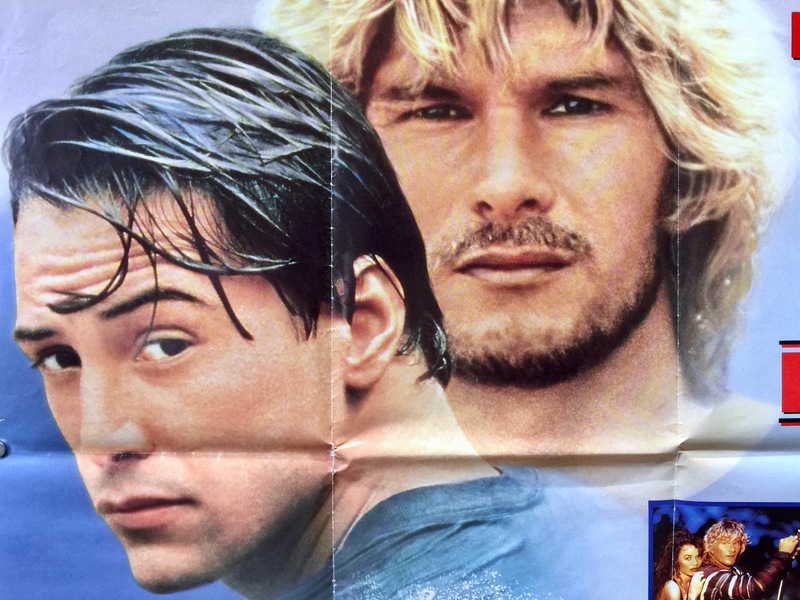 After learning to surf for the film, Keanu Reeves took a liking to it and took it up as a hobby. 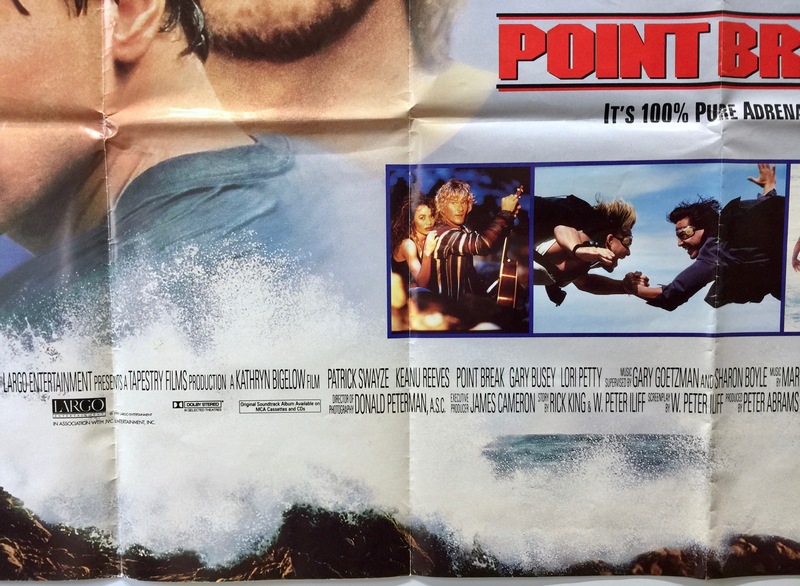 Principle photography was filmed at Lake Powell in Utah with additional filming in Ecola State Park and Wheeler, Oregon, and Malibu, Manhattan Beach, Santa Monica, Venice, and Fox Hills Mall in California. Although the final scene is set at Bells Beach, Victoria, Australia, the scene was not filmed there. Bells Beach is a straight stretch and the beach in the film is a cove with spruce trees atop a hill. The actual location of the film was a beach called Indian Beach, in Ecola State Park, located in Cannon Beach, Oregon, USA. 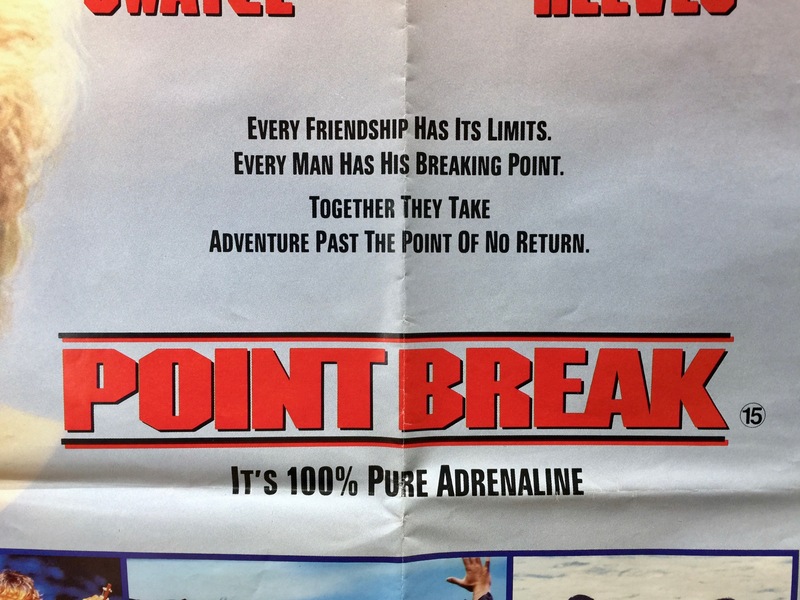 Commercially, Point Break was a box office success. Produced on an estimated production budget of $24m, it took $8,514,616 in the US on its opening weekend. This was second only to Terminator 2: Judgment Day which was directed by Kathryn Bigelow’s husband at the time James Cameron. It went on to take $43,218,387 in total US box office receipts and $97,000,000 in total worldwide box office receipts. Every friendship has its limits. Adventure past the point of no return.